Our regular meetings are on the THIRD Thursday of each month from 7-8:30 pm at Oaklette United Methodist Church, 520 Oaklette Drive, Chesapeake, Va. 23325. Most months we also plan a hands-on activity to help improve our neighborhood. We'd love to have you join us! Meet at the Indian River Park entrance at Rokeby Ave. and Main St. (2001 Rokeby Ave.) which is located just south of Military Highway, i.e. across Military Highway from the Fire Station. Reverend Ellen Comstock, a retired pastor of the United Methodist Church became one of first "Earthkeepers" in Virginia. Earthkeepers work with the faith-based community to implement Caring for Creation. They work on projects such as native landscaping, creating community gardens, advocating for renewable energy, and working for environmental justice. Join us for a day of free nature and wildlife programs for the whole family at Indian River Park. Join expert guides on a variety of hikes to explore the park and document as much of the plant and animal life present. Activities start at the park trailhead entrance at Rokeby Ave. and Main St. (2001 Rokeby Ave.) which is located just south of Military Highway. 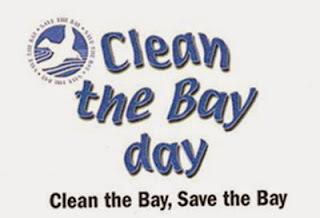 The Friends of Indian River's will be hosting cleanups along the stream buffer at TBA. This will help to spruce up the area, collect trash that will otherwise get washed into the river and impact wildlife. The city will provide garbage bags. We'll have water and snacks available. Please wear closed-toe shoes, a hat and bring work gloves and other items that may be useful. There is also trash to be collected from the flood plain of the creek, which is wet; bring rubber boots if you can help in this area. Participants under 18 years of age must have adult supervision. To help our planning, please RSVP to info@friendsofindianriver.org (Last minute volunteers are still always welcome). Brent James, with Lynnhaven River Now, founded the Notable Trees program to identify those large Old Growth trees - trees that may be huge, beautiful, interesting or have a rare story to tell in their own right - that pre-date the waves of development of our cities. Learn about the program, the value of trees, and how trees qualify for Notable Tree program. From 9 AM to 11:30 am, join us for our quarterly cleanup. We need your help for our quarterly cleanup. Join us for a few hours to clean up the mile of Indian River Road from the city limits at Wingfield Avenue all the way to MacDonald Road. We are also asking all business owners along Indian River Road - and everywhere really - to make sure they sweep up in front of their storefronts as part of the effort. And if you can't make it out for our organized cleanup please take 15 minutes and cleanup the street and ditches in front of your home; pass the word to your neighbors! For our main cleanup on Indian River Road, the city will provide garbage bags and orange safety vests. We'll have water and snacks available. Please wear closed-toe shoes, a hat and bring work gloves and other items that may be useful. Participants under 18 years of age must have adult supervision. This year's RIVERFest will be head at Back Bay’s Farmhouse Brewing, 1805 Kempsville Road, Virginia Beach, from 11 am to 4 pm. Stay tuned for more info!